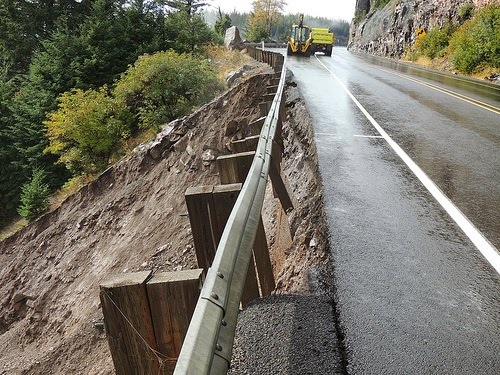 It’s been a long couple of days on US 12 near White Pass after a 500-foot section of the roadway that washed out and closed a 45 mile stretch from Naches to Packwood. We're now happy to report that a single lane will open at 3 p.m. Friday, Oct. 4. Drivers will notice a signal light that will direct alternating single-lane traffic through a quarter-mile area just east of White Pass. If you plan a trip, expect some minor delays through the single-lane detour. Unfortunately, the roadway will remain closed to those driving oversized loads - just can’t have you driving through there, yet. Governor Inslee signed an emergency proclamation on Thursday, Oct. 3 which give us and local agencies the green light to pursue federal emergency relief funds for the fix. We already have an emergency contractor on board, DBM Inc., of Federal Way, who is working with us to develop a temporary fix so we can get this section back open to two before winter. 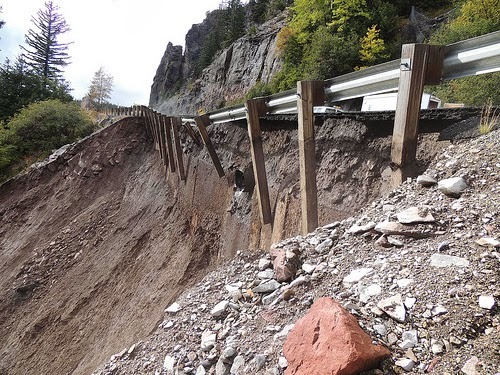 Last week’s rain storms are to blame for the severe erosion that closed the roadway Tuesday, Oct. 1. Currently, US 12 remains closed to from just west of Naches at milepost 183, to just east of Packwood at milepost 138. Truckers and other commercial vehicles are not allowed past these closure points. Locals going west can get to recreational areas and businesses along US 12 up to the west end near of Rimrock Lake and those going east can get up to the summit of White Pass. Until we get a single-lane open, you will need to use SR 410 andSR 123 as an alternate route. Remember these routes don’t allow oversized loads, and it's already had a dusting of snow earlier this week, so please be prepared for winter driving. 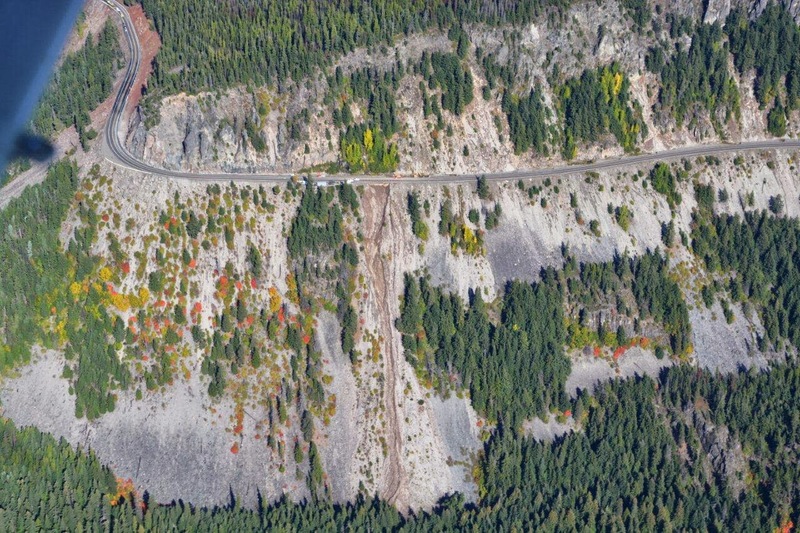 This entry was posted on Thursday, October 3, 2013 at 2:12 PM and is filed under emergency operations, Governor Inslee, US 12, White Pass, wsdot. You can follow any responses to this entry through the RSS 2.0. You can leave a response.